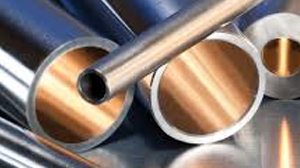 Precision tubes are finished up by bright annealing or special cold drawing. 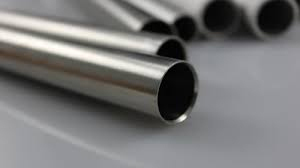 Precision tubes corresponds to the usage in which a high surface quality and excellent dimensional accuracy are demanded for nuclear power, for the semiconductor, for the medical treatment and for food etc..
Dimensional accuracy and excellent smoothness of pipe can be obtained by precise cold working process. It is applicable to the components in precision machine or various pressure apparatus. KOBE SPECIAL TUBE CO.,LTD. developed ultra-thin stainless tube by special forming methods. The tube is very good at dimensional accuracy and it is useful for roller tube of printer. Hexagonal wrapper tube with pad is used in fuel assembly of fast breeder reactor and it is made of unit tube. KOBE SPECIAL TUBE CO.,LTD. 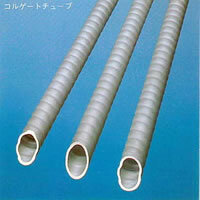 has established manufacturing process of duplex tube based on hot extrusion techniques. 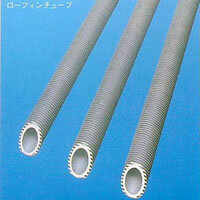 Duplex tube gives high performance in various severe conditions. KOBE SPECIAL TUBE CO.,LTD. can make any shape of tube or bar. Polygonal tube is manufacured by the combination of hot extrusion and cold drawing. 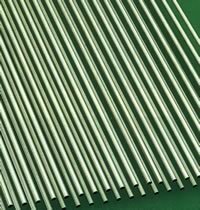 Seamless stainless steel tubular products are used extensively in such fields as power generation, petrochemicals, food processing and industrial machinery manufacturing. Kobe Special Tube supplies a wide variety of tubes and pipe for industrial applications, including tubes with excellent maIndiability for machineparts and extra-long tubes used in feedwater heaters in general and nuclear power plants. KOBE SPECIAL TUBE CO.,LTD. has established the secondary forming process of low-finning and colgating from outside of tubes. This process is applied not only on the conventional stainless tube but also on the material with hard to work. High density and integrally cold formed fin on the out side of a tube can dramatically improve heat transfer efficiency. The modified roll forming technique is applicable to many kinds of stainless steel and high alloys. Because these types of tubes are made of unit, the durability and anti-vibration properties are good. point Integral fin are formed on the out side surface of tube by the modified roll forming method. 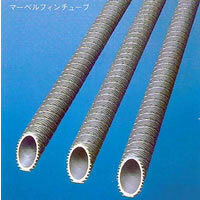 A spiral groove is formed from outer surface of straight tube. This tube is made by thecombined forming process of the left two methods. Give us a call today to get all the information, +91-9819591024, If you're looking to buy or sell Kobe Stainless Tubes And Pipe, we can help., call to our Distributor in India or mail us to info@neelconsteel.com for instant free quote of Kobe Stainless Tubes And Pipe. Neelcon Steel Wholesale Various High Quality Kobe Stainless Tubes And Pipe in all shapes and sizes and with any specifications that the clients, More then 1500 Worldwide.